This listing is for ONE personalized ring. If you'd like more than one, you will need to choose the number of rings you'd like from the dropdown menu provided. 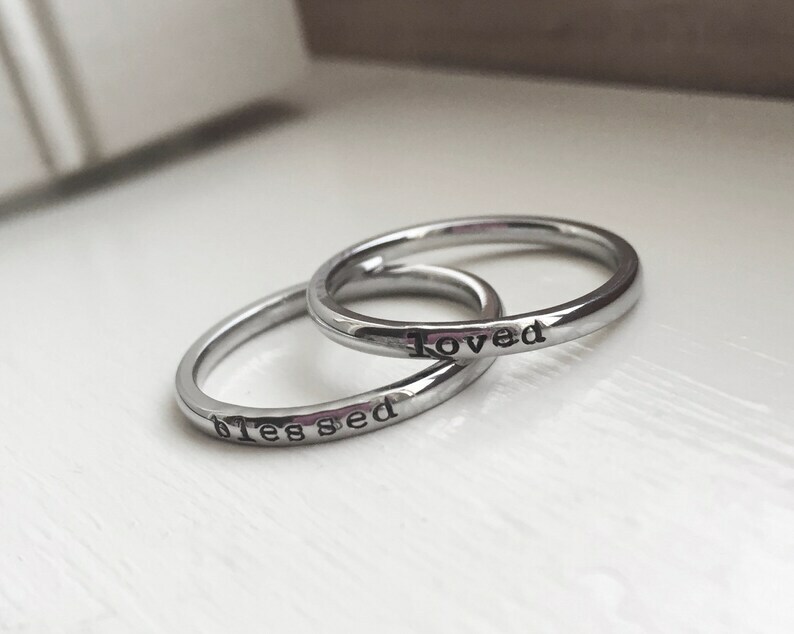 A 2mm skinny stainless steel comfort fit band ring is hand stamped by me in my petite type font (lowercase only!) with your choice of text (up to 15 characters or numbers, including spaces, small heart available). Available in whole sizes only 4-10. Exactly what I wanted and expected! !